Happy Saturday! 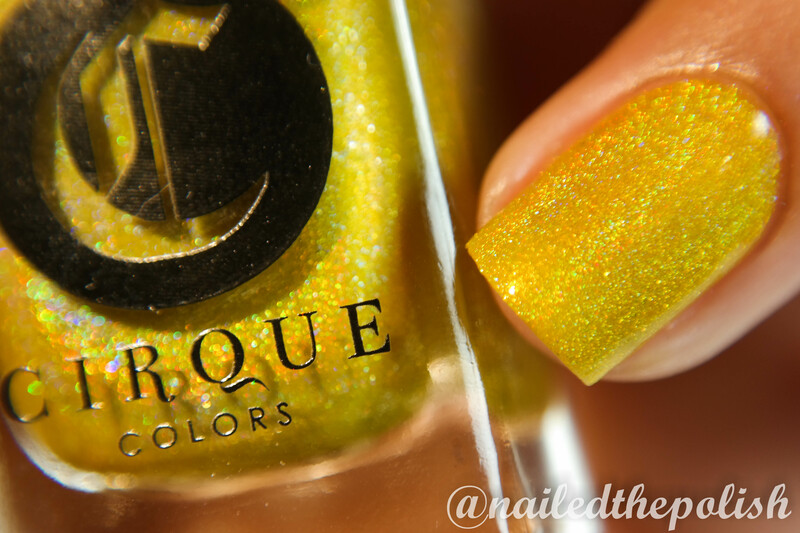 Today I have for your swatches and my review of Cirque Colors‘ Juicy Collection! 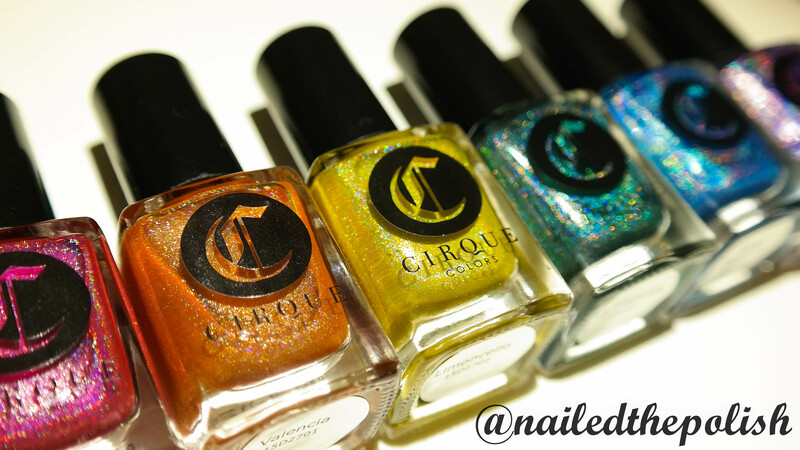 This collection consists of 6 gorgeous holographic polishes inspired by luscious days and summertime flavors and is available for purchase now! 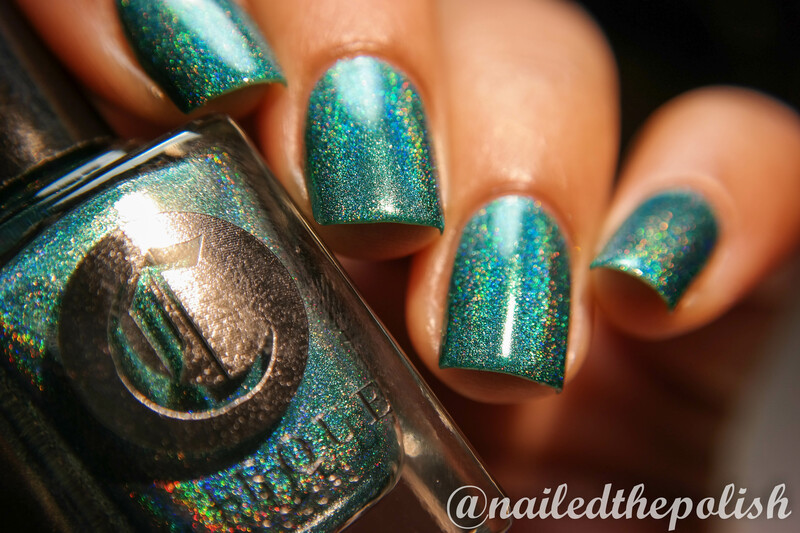 Just look at all that stunning holo! Now that I’ve got your full attention – and your mouth drooling! – let’s get on to the swatches! All swatches were taken indoors using a combination of daytime Cree lighting and LED lighting. I got a little creative while swatching this collection so I also included a few fancy shots (as I like to call them hehe) of each polish! 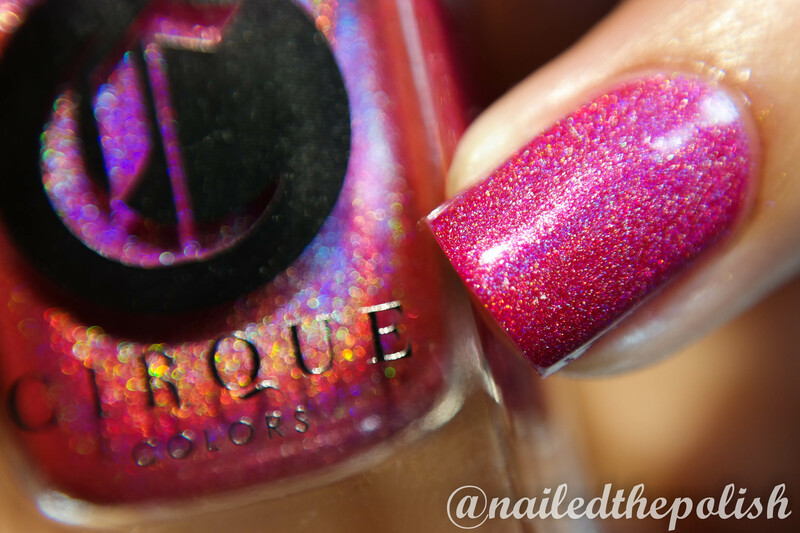 Framboise is a raspberry pink liner holo with added blue flash. Shown here is two coats with top coat. This polish was just as opaque in one coat but I added a second out of curiosity. Such a stunner! That blue flash is everything! 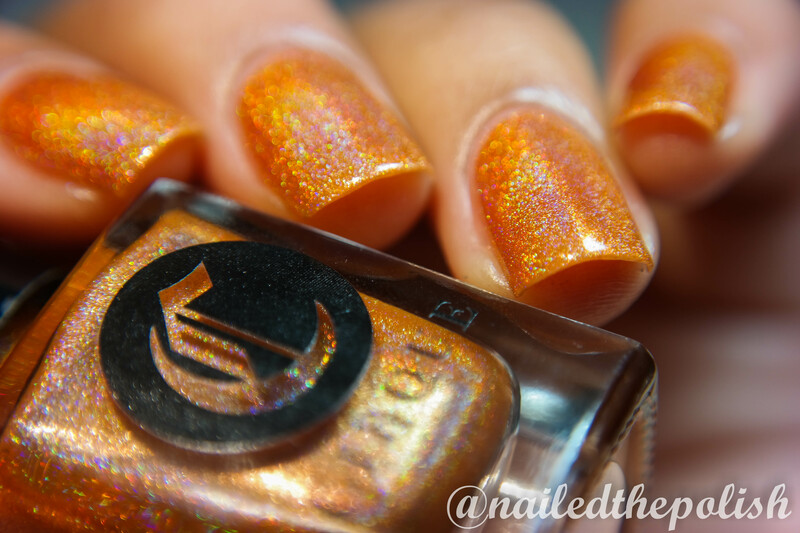 Valencia is a mandarin orange linear holo with added blue flash. Shown here is two coats plus top coat. Now I am usually not a fan of orange anything but this polish has totally knocked me off my feet! 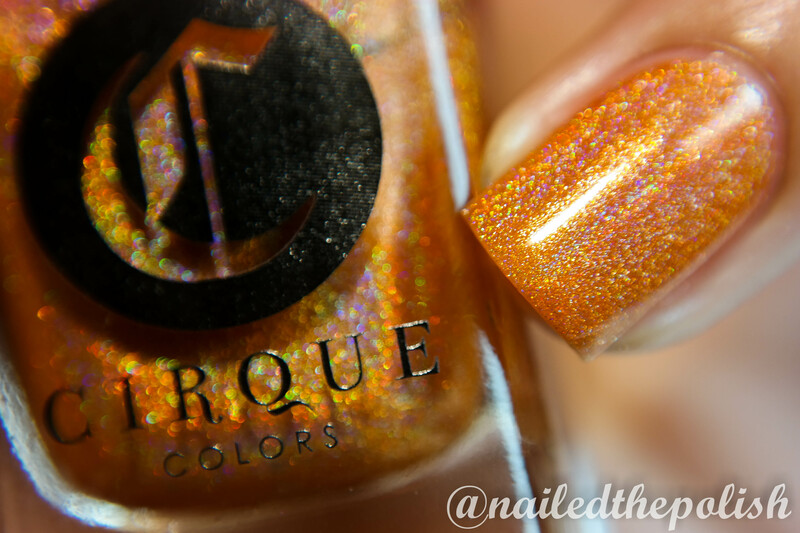 Hands down the best orange holo I have… and quite possibly the best orange polish as well! See! I wasn’t lying! GORGEOUS. 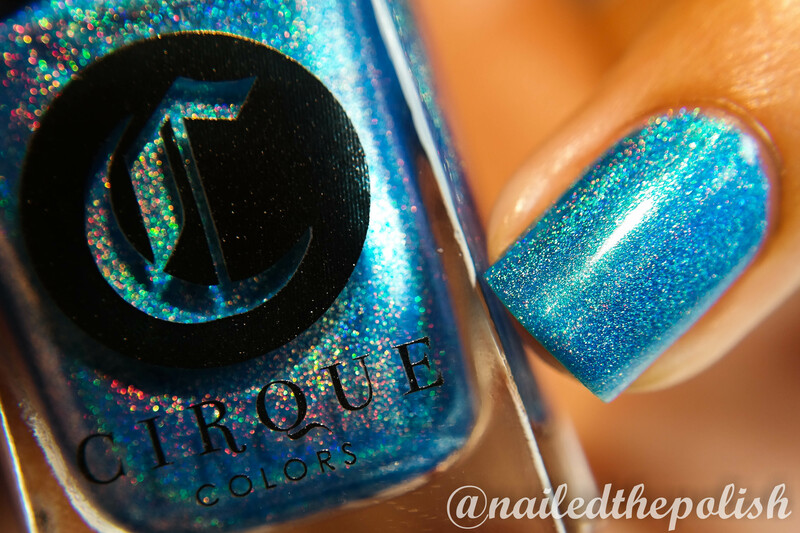 La Tropicale is a stunning teal linear holo with added blue flash. Shown here is two coats with top coat. THIS. POLISH. GIVES. ME. LIFE. It’s so flawless, so perfect, so amazing – without a doubt my favorite from this collection! 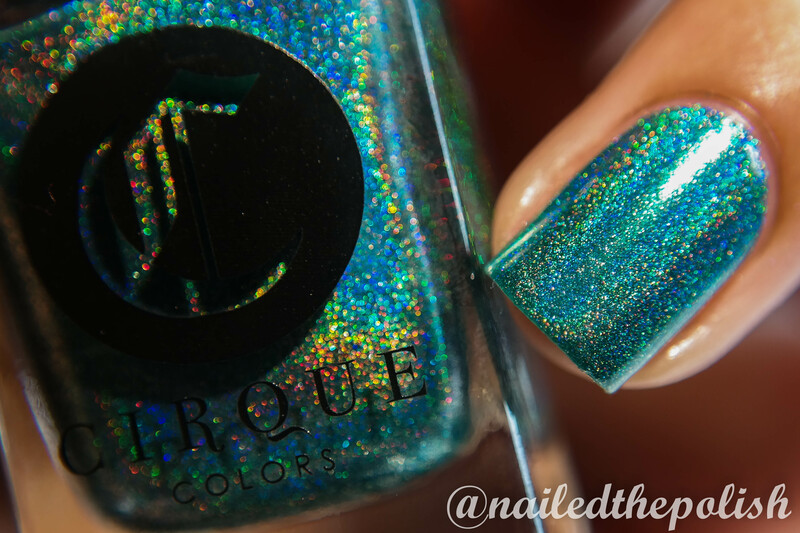 I don’t care if you already have other teal holos in your collection – You NEED this. 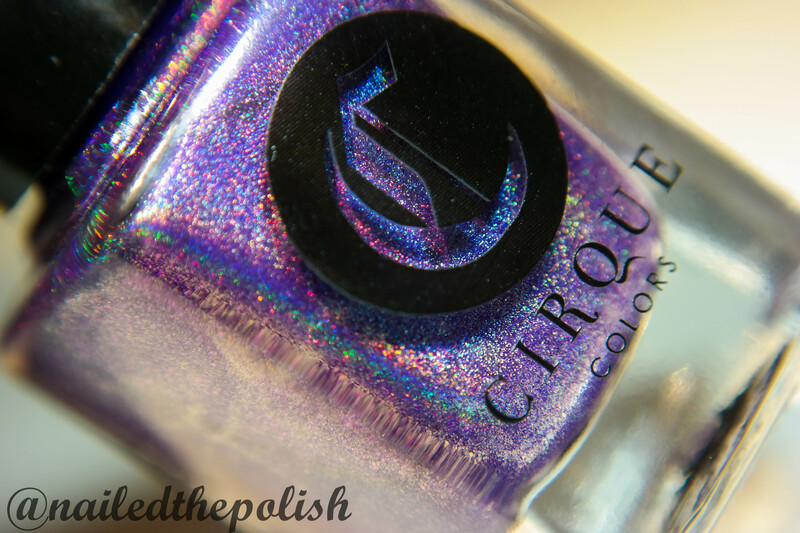 How could you not instantly fall in love with this polish?! Just look at it! 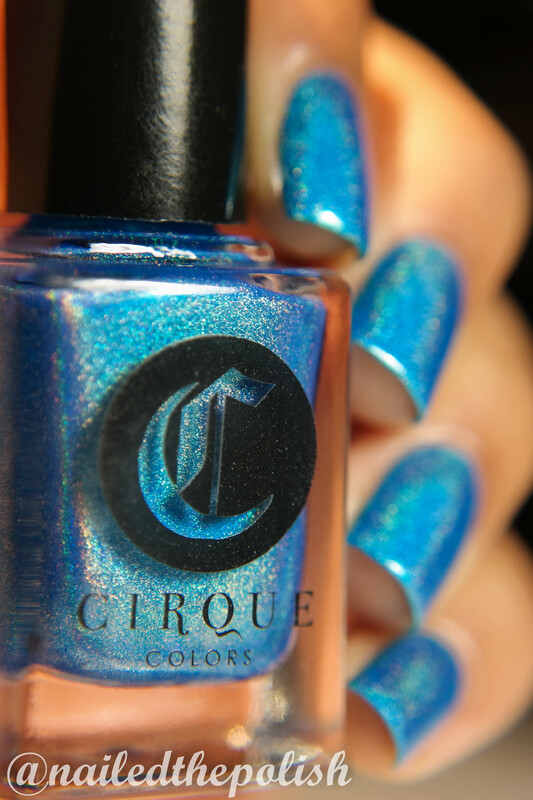 Royal Hawaiian is a vibrant aqua blue liner holo with added blue flash. Shown here is two coats with top coat. This polish screams summer – more specifically it screams “You should be laying out on a tropical beach sippin’ on frozen Peach Bellinis while catching some rays!” 🙂 I love it! I think I hear the sounds of waves crashing! 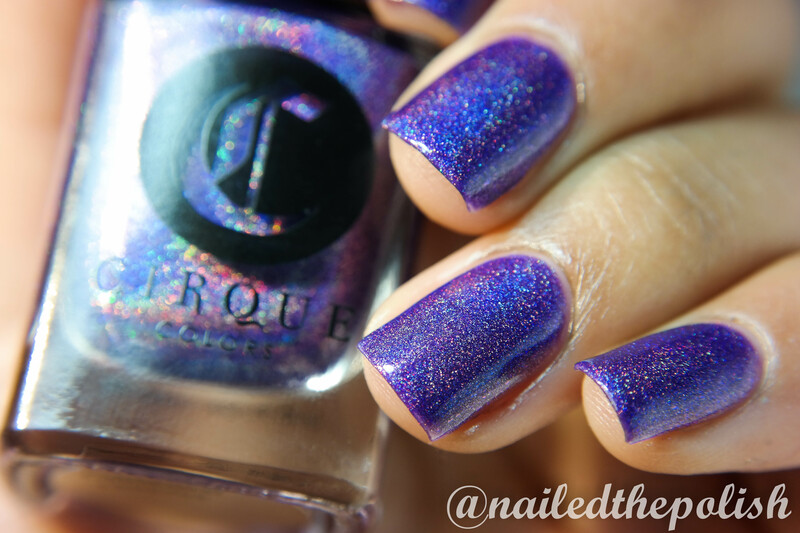 Last but not least is Concord – a royal purple linear holo with added blue flash. Two coats plus top coat. 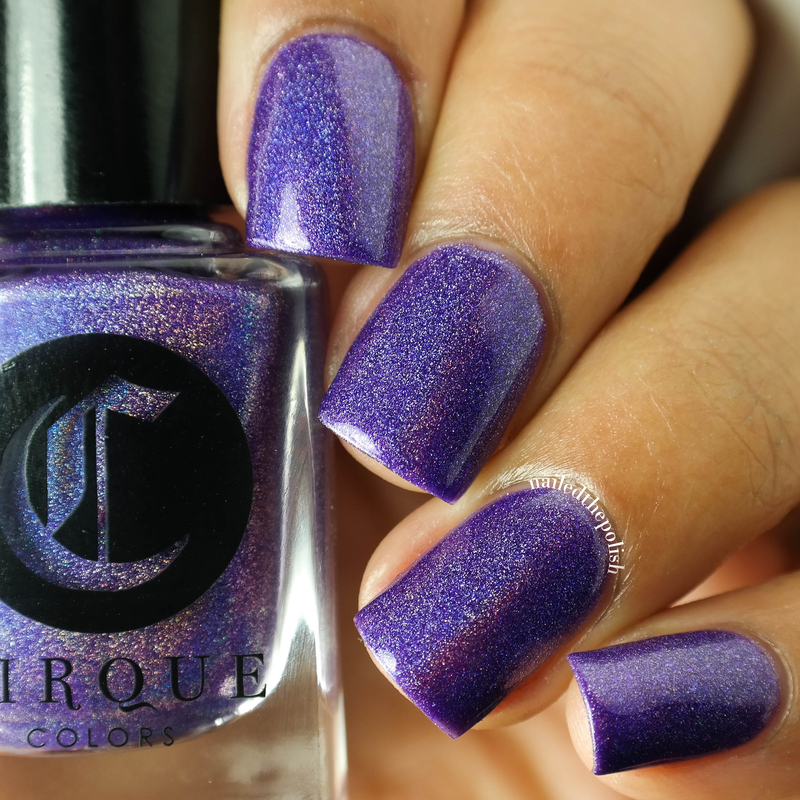 This has got to be the most perfect purple holo I’ve ever laid my holo-loving eyes on! No “is it blue? is it purple? what about blurple?” issues here! Just purple all across the board in all lighting. Look at all that holo! 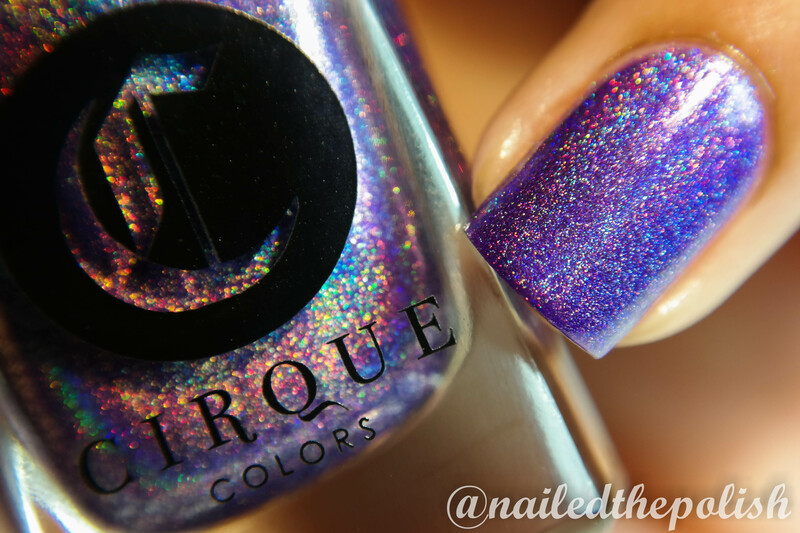 It’s so holo-licious! When I was asked to swatch this collection, I was jumping for joy like a little girl meeting her favorite Disney Princess for the first time. 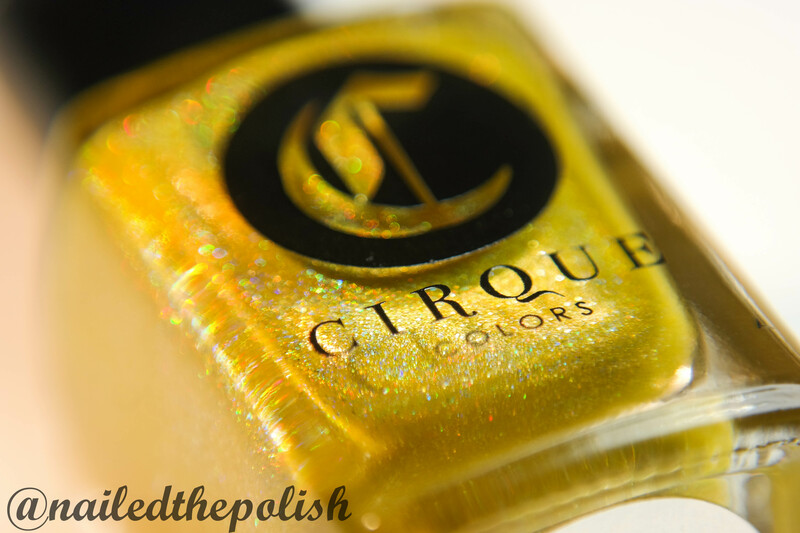 I had heard so many wonderful things about Cirque Colors and I now know why. 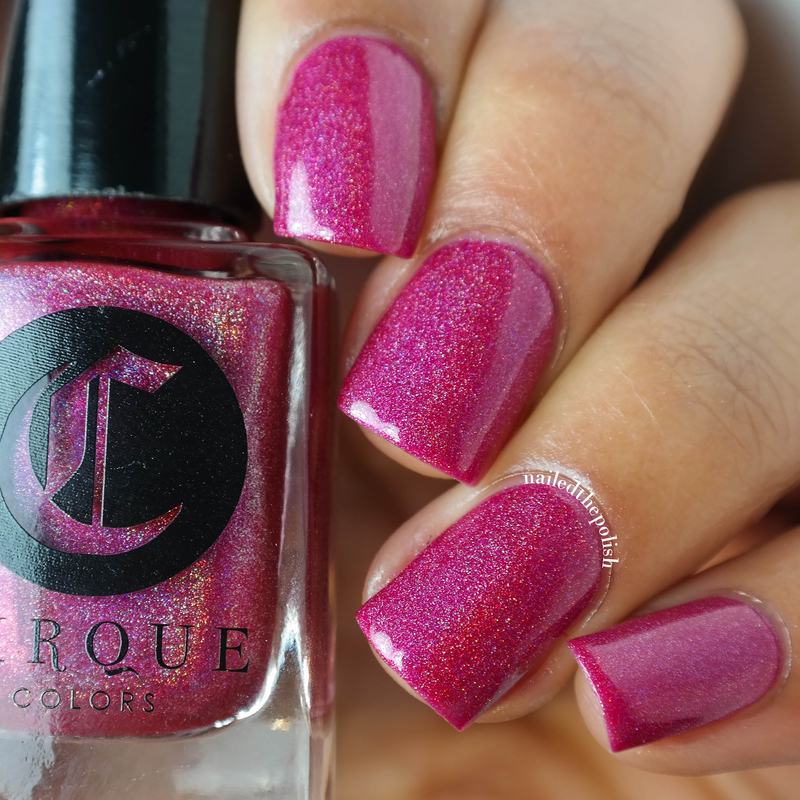 These polishes are flawlessly fabulous! The formulas are so perfect – I barely had to do any clean up! So easy to control, perfect self leveling, and no cuticle flooding. Oh! And they smell like lavender when dry! 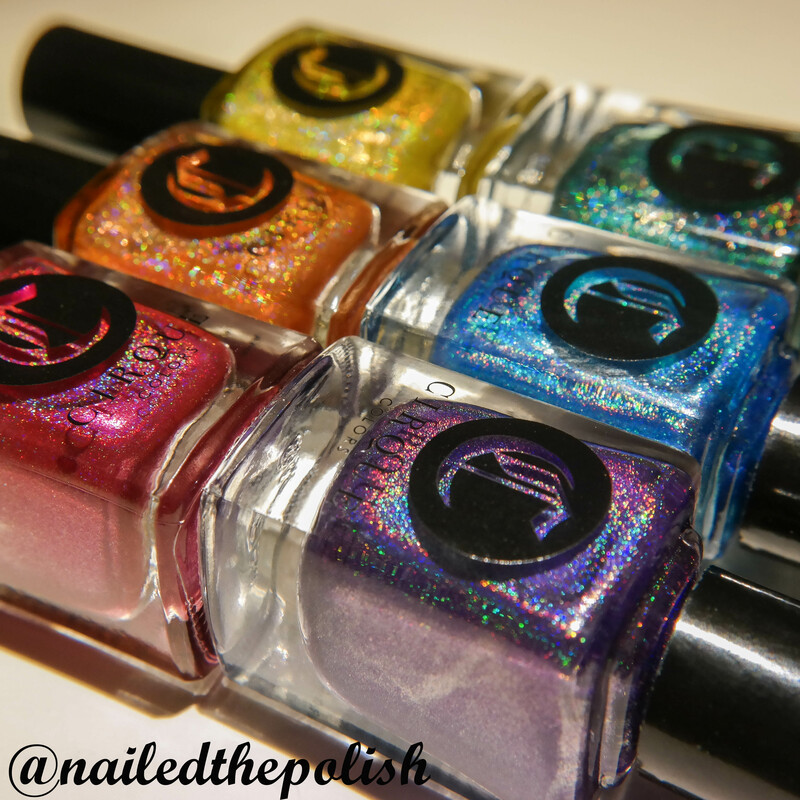 My favorites would be La Tropicale and Concord but every polish in this collection is wonderful! I have quite a few rainbow holographic collections already but this is easily my favorite! All of the colors are so vibrant and so holographic at the same time. 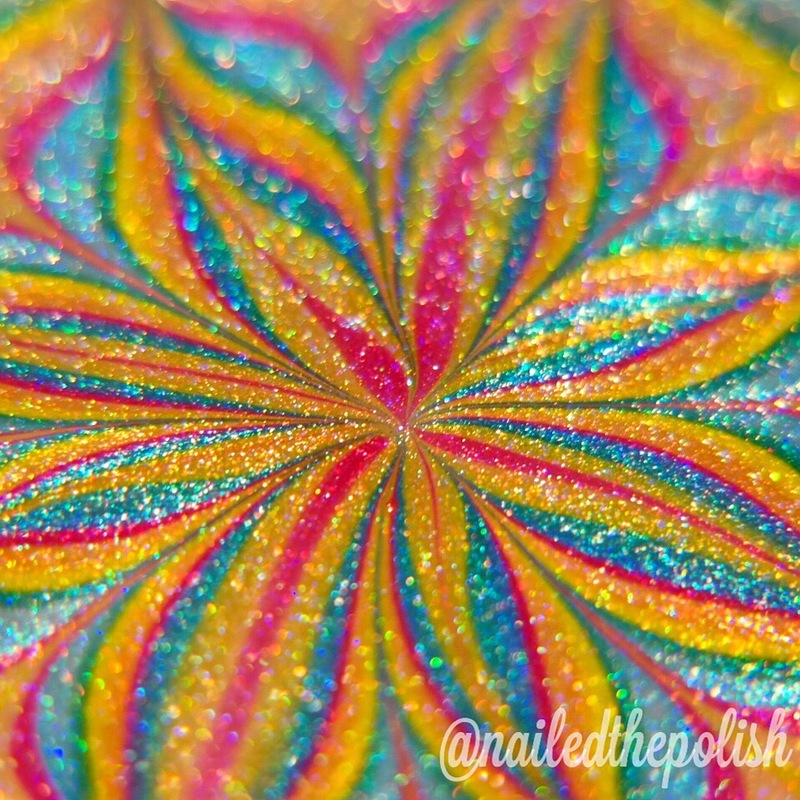 And here’s the cherry on top – they watermarble! These polishes are available for purchase here. 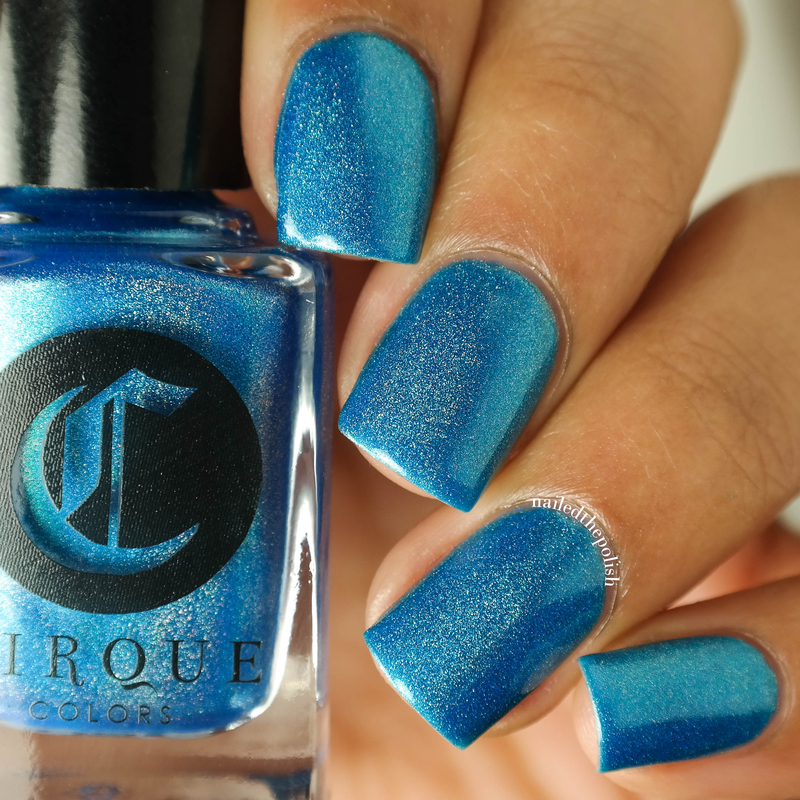 Be sure to check out Cirque Colors on Facebook, Instagram, Pinterest, and Twitter!